Michael Quirk joined the firm as an associate in 2014. He concentrates his practice on representing individual policyholders in prelitigation appeals and litigation arising from the Employment Retirement Income and Security Act. Prior to joining Pillsbury & Coleman, LLP, he worked at a large national law firm. 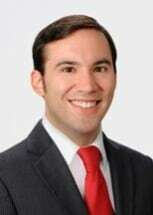 From 2011 to 2012, he served as a law clerk to the Honorable Hilda G. Tagle of the United States District Court for the Southern District of Texas.